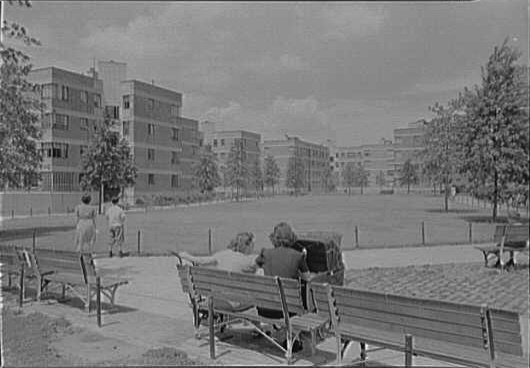 Public housing complexes rarely get any love—especially for their design. But it’s a different story with the Williamsburg Houses. 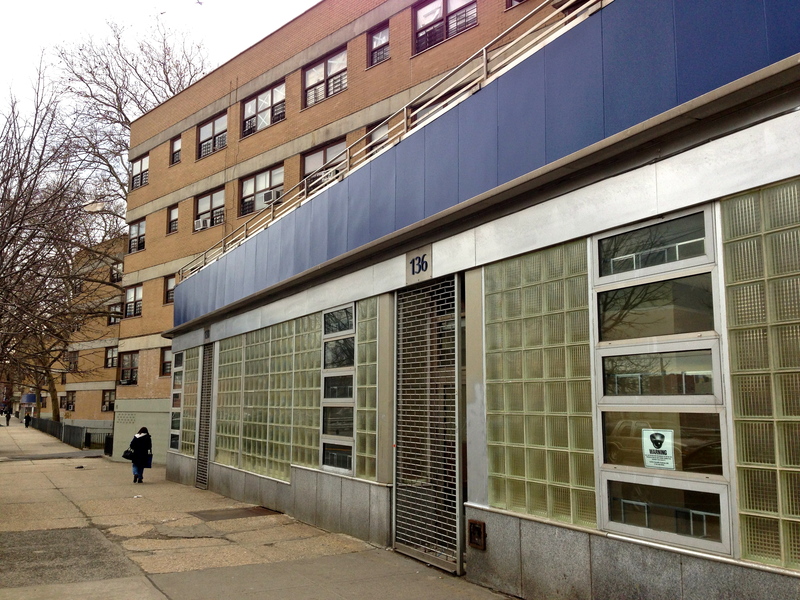 This group of 20 buildings on a sprawling site on Bushwick Avenue earned big props for its Modernist touches, designed in part by Swiss architect William Lescaze. “When the complex opened in 1938, its design was revolutionary,” wrote The New York Times in 2003. 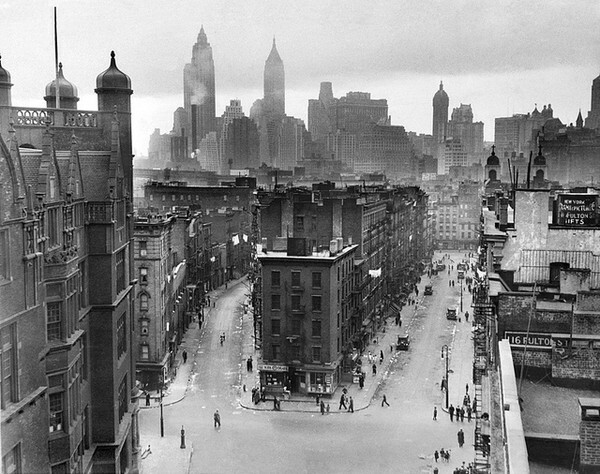 In their 1939 guide to New York City, the Federal Writers’ Project added that the 25-acre location was once home to 12 slum blocks. Oh, and the 6,000 working-class New Yorkers who moved in were charged rents between $4.45 and $7.20 per week. After a long post-war decline, the Williamsburg Houses underwent a restoration in the mid-1990s. That turned up a hidden treasure: WPA murals by pioneering abstract artists. They’d been neglected for years and hidden behind coats of paint in community rooms. The Brooklyn Museum has the restored murals on view now. 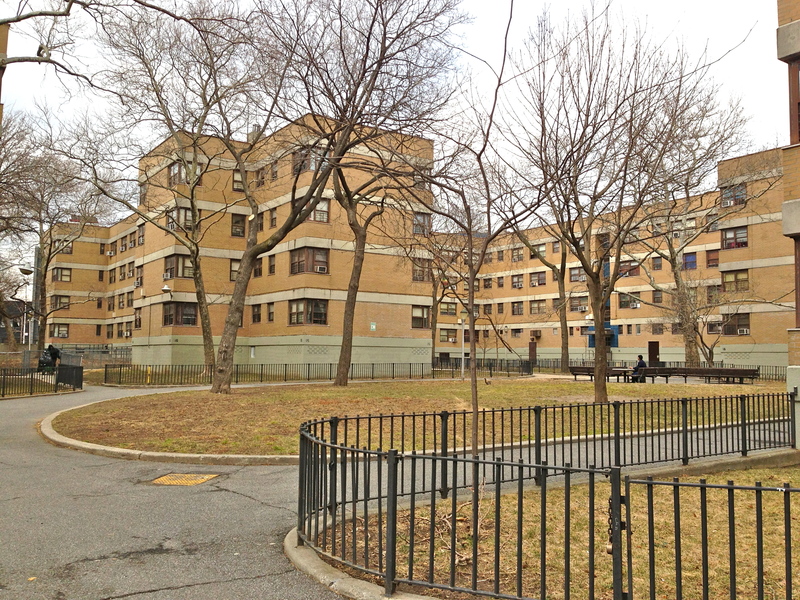 The development earned landmark status in 2003, the third public housing project in the city to do so. How would you like to live on a street dubbed the Lung Block by city officials? This was the moniker given at the turn of the century to the gritty block bounded by Cherry, Catherine, Hamilton (Monroe), and Market Streets near the South Street Seaport. The name comes from the high number of residents who suffered from contagious respiratory illnesses such as tuberculosis. “I know of no tenement house block in this city which is so bad from a sanitary point of view,” wrote Tenement House Commission head Robert De Forest in 1903. “Every consideration of public health, morals, and decency require that the buildings on this block be destroyed at an early date,” he added. “And with drunkenness, foul air, darkness and filth to feed upon, the living germs of the Great White Plague, coughed up and spat on floors and walls, had done a thriving business for years,” recalled Poole. 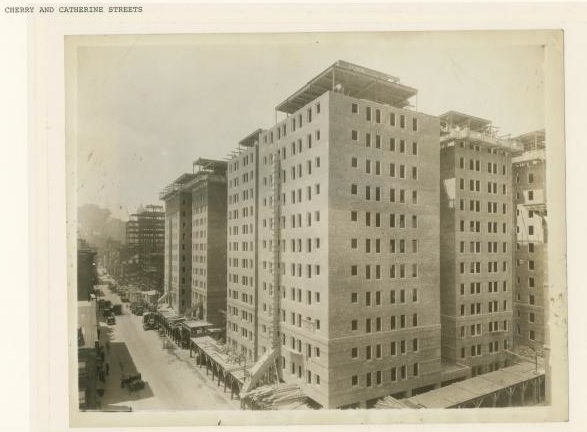 The Lung Block finally bit the dust in the early 1930s, when public funds enabled developers to build Knickerbocker Village, which still stands at the site today (at right in 1934, from the NYPL Digital Collection). 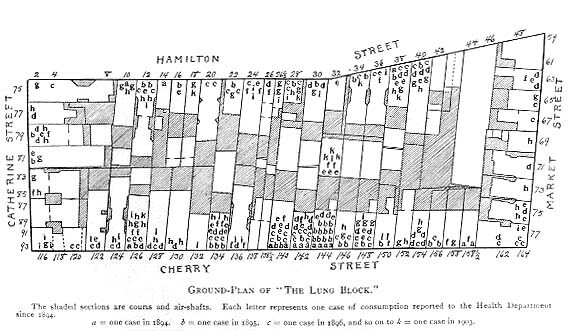 There was at least one more Lung Block in the city: from Lenox to Seventh Avenues between 142nd and 143rd Streets in Harlem. The 1930s and 1940s seem to be the dawn of the public-health poster—those often corny and over-the-top reminders to wash your hands, eat healthier meals, stop spitting, learn to swim, even get tested for gonorrhea and syphilis. 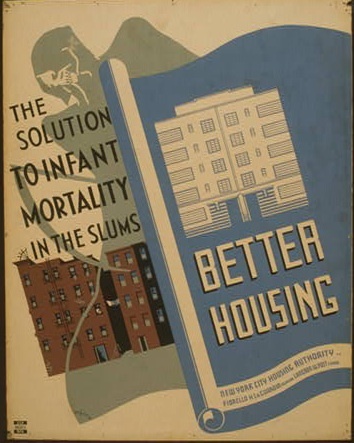 Created by Works Progress Administration’s Federal Art Project artists between 1936 and 1943, they’re little gems offering insight into the urban health issues that preoccupied the era. 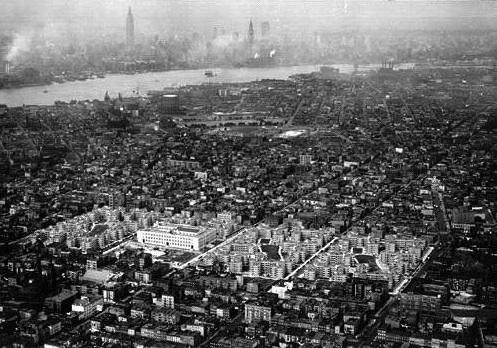 One common target for department of health bureaucrats was the overcrowded, airless tenement apartments still home to so many New Yorkers. These two posters drive the point home pretty well. Clutter and trash on fire escapes contributed to fire, and unsanitary conditions helped spread disease and contribute to infant mortality. 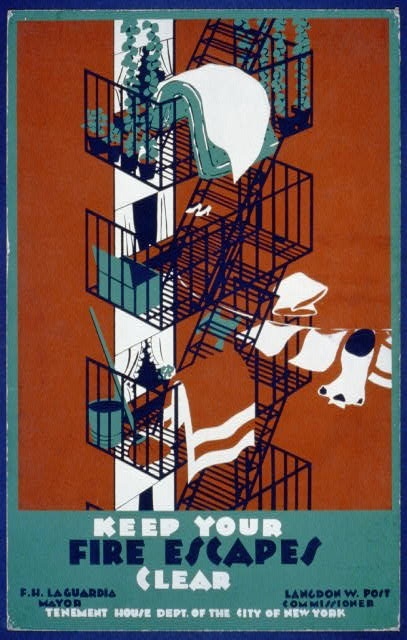 Check out more New York City WPA posters at this Library of Congress link.